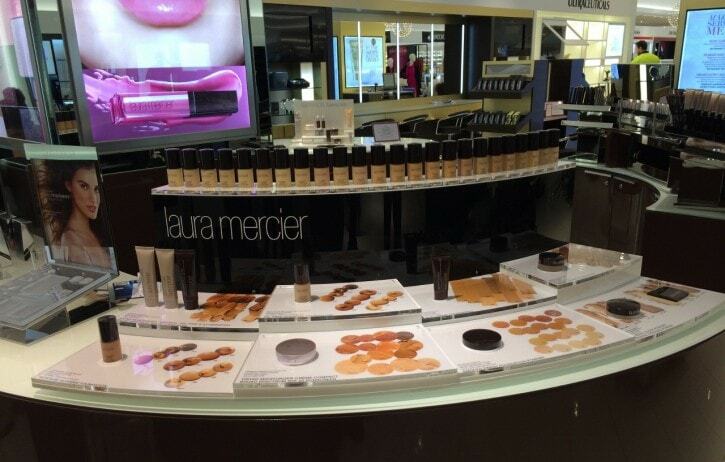 We were asked to design and manufacture a cosmetic tester display with stock holding for a Laura Mercier for use in a department store. We worked with our printers to ensure the graphics and underlays matched perfectly with the clear acrylic tester blocks and rebated holes to locate produts in position. The client was extermely happy with the finished product.